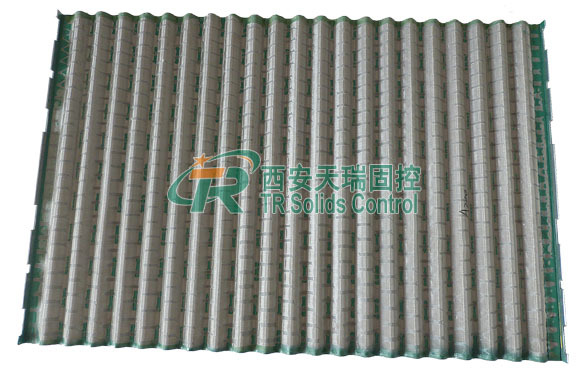 Shale shaker screen is very important for shale shaker. shale shaker as an important one solid control equipment, in order to ensure the normal use mud solids control, so you must make the choice prior to shale shaker screen of drilling mud solids control equipment. In generally, FLC 2000 PMD Shaker Screen with notch is used in Iran, Saudi Arabia and so on. Different layers with different density, arrange these layers reasonably and exactly, the scree effect will become better. 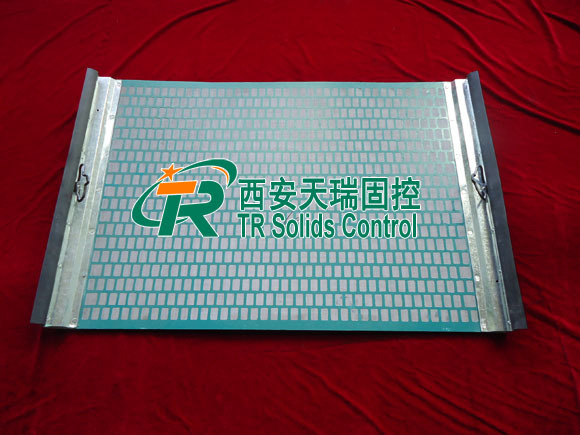 The waved cloth bonded to metal backing plate, has more surface.The effective contact area of wave screen is 125%to 150% of a flat screen, so that wave type screen own higher drilling fluid flow than flat screen. 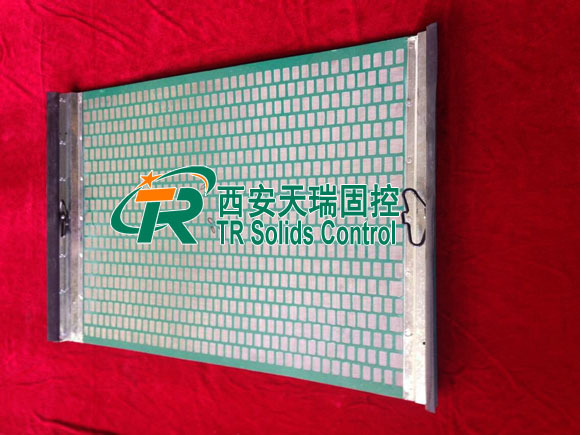 Our screen is conform to API RP 13C standard. We are an exporter of shaker screen.TR is a FLC 2000 PMD Shaker Screen maufuacturer and china Steel frame screen supplier.Our factory approval the API,Drilling Shale Shakers and drilling PMD shaker screen have the API certification.TR solids control is the designed,selling,production,service and delivery of Chinese drilling fluid shakers manufacturers.We will provide the high quality shaker screen and swaco mongoose shaker screen.